Home News FeedsBlog OpenArc Forms A “Robotics & Industrial Automation” Division in Kohuwala. OpenArc is pleased to announce the opening of another OpenArc solution as “Robotics & Industrial Automation”, a new division to develop and deliver embedded software solutions in local and global embedded software industry. The new division has been formed in Kohuwala. 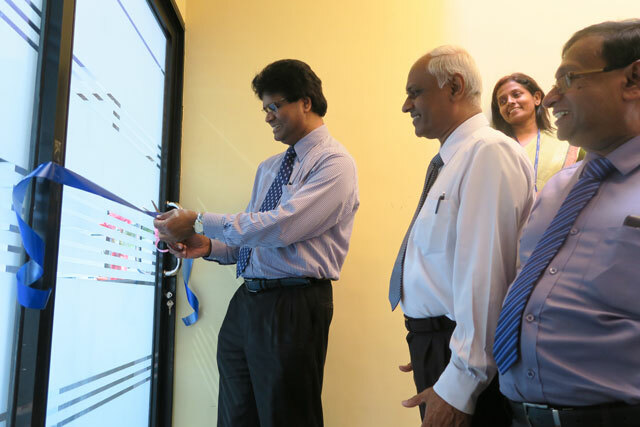 The opening of new division office was commenced last Monday according to Sri Lankan rituals and auspicious time by the chief guest Mr Daya Hettiarachchi, Chairman/CEO of OpenArc Group of Companies. Mr. Vithanage Former Dean of University of Moratuwa (UoM), Directors of OpenArc group, members from senior management and OpenArc Software Engineers, Developers and Technical Specialists had been gathered in this opening ceremony. New division consist of around 20 members from OpenArc Software house and the newly joined member from UoM. The divisional members officially started with their embedded software developments same day by the auspicious time. Company expects to improve the member count to 60+ members and to form up an ‘Electronic Laboratory’ for further developments of OpenArc Solutions. The new division will be initiating their projects sooner with OpenArc Engineering and University of Moratuwa. The main target of OpenArc by forming a new divisional office is to provide great solutions in automating local industries and innovating new electronic and smart devices for the benefit of mankind.